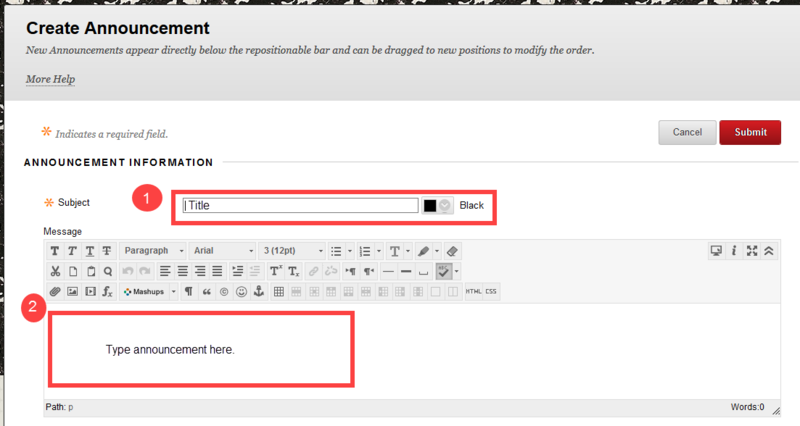 Learn how to send an announcement to your students through Blackboard to relay information quickly and efficiently. 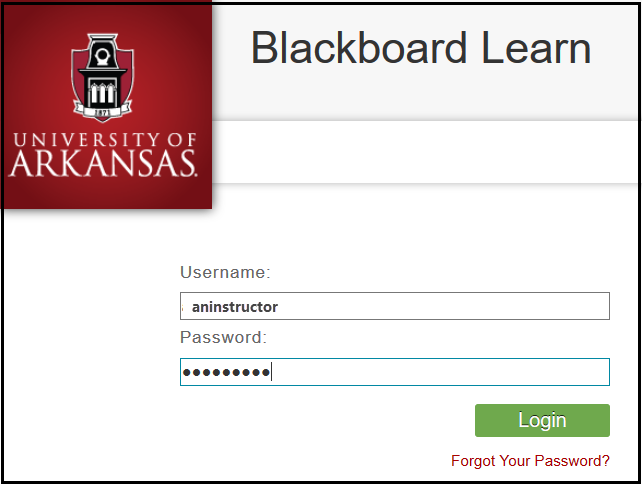 Log into learn.uark.edu with your UARK username and password. Click on the Course in which you want to send an announcement. Click on the Announcements link in the left menu bar. 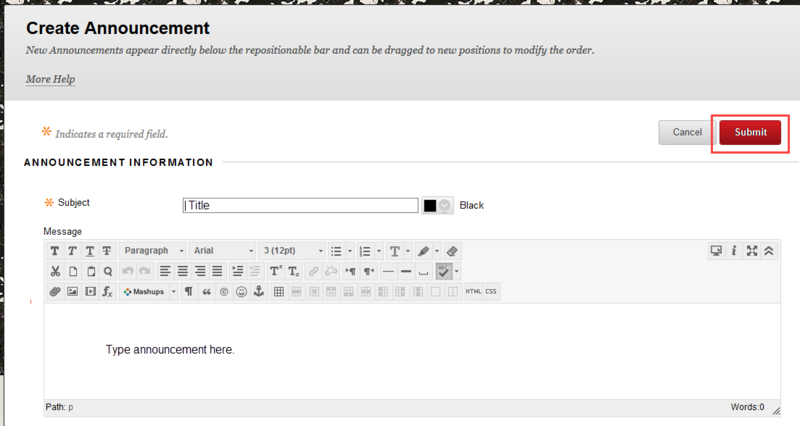 Click the Create Announcement button. Type a title into the Subject box and type an announcement in the Message box. 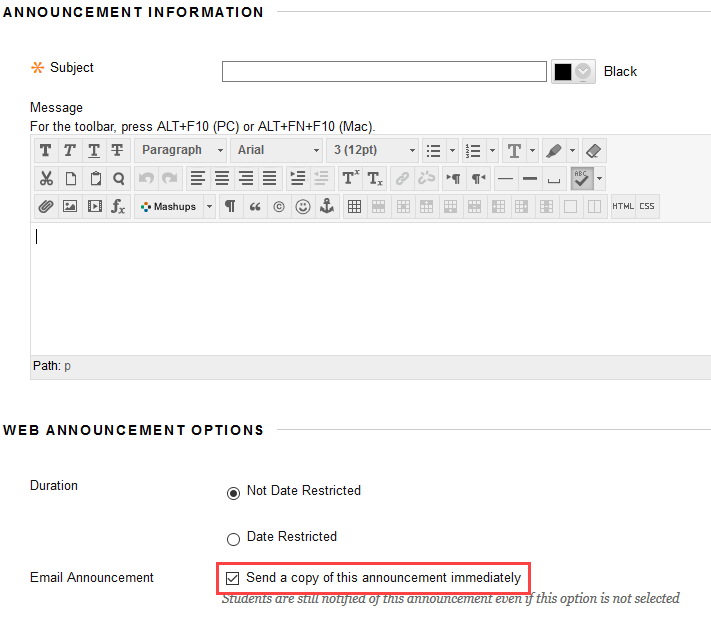 Optional: Check the “Send a copy of this announcement immediately” box in the WEB ANNOUNCEMENT OPTIONS section. This will send an email to students’ UARK account which contains the content of the announcement.